Engility Holdings has received a five-year, $31 million contract to perform cybersecurity assessment, analysis and research work for the Defense Technical Information Center in support of U.S. Air Force mission requirements. The company said Tuesday it will provide independent verification and validation, site audits, software assurance, prototypes and processes to the Air Force Life Cycle Management Center’s cybersecurity engineering division. “This new contract, a take-away win, expands our cybersecurity partnership with the Air Force and gives us the opportunity to bring our cyber vulnerability assessment and research expertise to support their evolving requirements,” Engility CEO Lynn Dugle said. 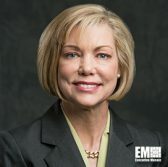 Engility will also work to analyze, research and provide advisory on cybersecurity for the Air Force Life Cycle Management Center, part of the Air Force Materiel Command that acquires and maintains weapon systems. Engility booked the contract during the fourth quarter.